Corporate Profile | IRIS OHYAMA Inc.
(a) Keep pace with an ever-changing market and consumer demands by establishing mechanisms to create profit in any given environment or era. (b) Contribute to society by always being mindful of the relationship between our Company, society and people by reinvesting profit in the Company and thereby improving the lives and lifestyles of our employees, our customers and the people who use our products. (c) Create a business environment where improvement of the Company leads to better employees, and improvement of the employees leads to a better Company. (d) Focus on our customers. The Customer Comes First is the foundation of our mission statement. (e) Have high aspirations, be aware of incompleteness, be full of vitality, and strive always to create a growing, innovative organization. With a focus on "Comfortable Living," we have manufactured solution-products to address and reduce consumers' potential dissatisfaction in order to make their lives more enjoyable and help them thrive. The representative example is our clear storage boxes which we have sold since 1989. We looked at potential dissatisfaction that consumers cannot see inside their storage bins, and developed the world's first clear boxes and changed the whole storage culture. Our Maker/Vendor system made it possible to establish flexible production and efficient distribution systems through manufacturing. IRIS China Group plays a role as a central production hub that supports domestic and overseas group companies. Our factories, with automated production lines, and accumulated IoT manufacturing technologies, can handle various materials and categories, and produce products across multiple industries. We develop products inspired by "User-In Concepts" and operate business utilizing our unique "Maker/Vendor" structure by category. For example, in our home appliances business, we develop "Ah-ha home appliances" inspired by actual experiences. In our rice milling business, we maintain freshness and a better taste of rice through a "cold temperature manufacturing process" and aim to spread great food experiences, as well as, support for areas affected by earthquakes. In our B2B business, we provide solutions according to various customer needs with a focus on LED lighting. We support comfort and growth in peoples' lives through creating synergistic effects and utilizing our comprehensive business strengths. Furthermore, we continue to be a company who "Contributes to society by achieving a healthy growth" by creating demands and solving dissatisfaction for consumers in Japan and around the world. Chairman of IRIS OHYAMA, Inc. Under the philosophy of "User-In Concepts," we strive to manufacture products that make consumers say "Ah-ha" since the day we began. In order to help consumers relate to and see the value of our products, we have continued to make innovative changes everyday through "Domestic Nine-Factory Operation" and "Maker/Vendor System" in logistics and distribution. We have now grown to the point that we have been able to provide comprehensive business solutions by expanding our business domains to B2B, such as proposing ways to save electricity and creating spatial presentation. We have not limited ourselves to the Japanese market. We have expanded the scope of our activities to USA, Europe, China, Korea and Southeast Asia, where we inspire people with the concept of "Comfortable Living," fostered in Japan. 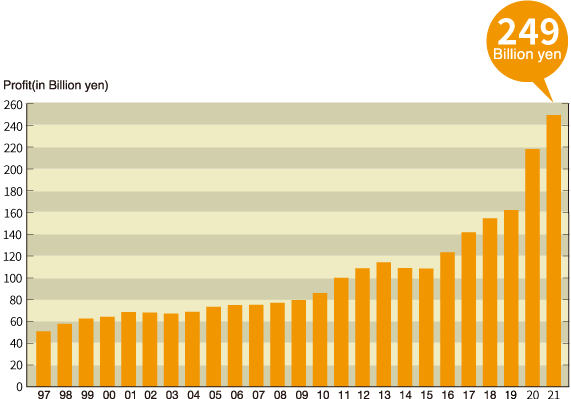 At present, Japan is in the middle of a tough environment caused by a population decline. However, we take the positive approach and view it as "Change is an opportunity." We continue to face the challenge with "Japan Solutions" to solve issues in Japan through the regrowth of Japanese agriculture through our rice business, the revival of Japanese home appliances through our "Ah-ha home appliances," and the reform of working practices through proposing the use of space. 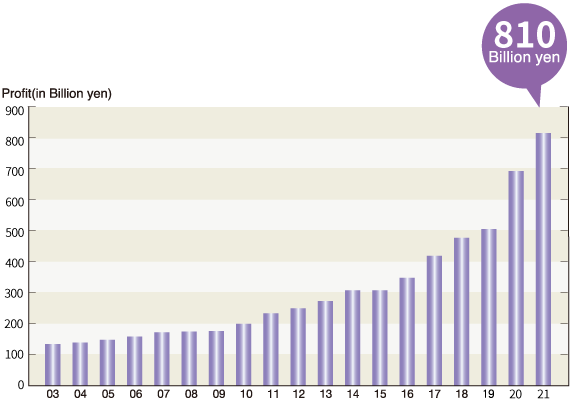 President of IRIS OHYAMA, Inc.
Morisuke Ohyama established the OHYAMA blow industry. Kentaro Ohyama nominated to the representative. The Sendai factory (present Ogawara factory) established. IRIS KOREA Co,.Ltd. incorporated in Seoul, Korea. IRIS PLAZA incorporated in Sendai. Change the name of company to IRIS OHYAMA, Inc. The Stockton factory of IRIS USA, Inc. established. The Wisconsin factory of IRIS USA, Inc. established. DALIAN IRIS WOOD PRODUCTS Co., Ltd. incorporated in Dalian, China. IRIS OHYAMA EUROPE B.V. incorporated in the Netherlands. DALIAN IRIS HOME PRODUCTS Co., Ltd. incorporated in Dalian, China. IRIS CHITOSE incorporated in Sendai. The Dallas factory of IRIS USA, Inc. established. Distribution center of IRIS KOREA Co., Ltd. established in Gumpo, Korea. DALIAN IRIS DEVELOPMENT Co., Ltd. incorporated in Dalian, China. Simple Style shop in Sendai opened. IRIS FINE PRODUCTS Co., Ltd. incorporated in Sendai. Distribution center of DALIAN IRIS HOME PRODUCTS established in Dalian, China. DALIAN IRIS WOODEN PRODUCTS Co., Ltd. incorporated in Dalian, China. IRIS FINE PRODUCTS Co.,Ltd. becomes enrolles in a project of the Deoxidant. IRIS SHINYO incorporated in Sendai. IRIS SOKO incorporated in Sendai. DALIAN IRIS INTERNATIONAL TRADE Co., Ltd. incorporated in Dalian, China. IRIS Group Made DAISIN its subsidiary. Aoba Buillding opend in Sendai. BUTAI AGRI INNOVATION incorporated in Sendai. Osaka R&D Center opened in Sinsaibashi. IRIS FOODS incorprated in Sendai. IRIS Group made UNILIVING its subsidiary. IRIS HOME PRODUCTS (GUANGZHOU) Co.,Ltd. established. IRIS USA, Inc. ARIZONA factory established. IRIS OHYAMA FRANCE SAS incorporated. 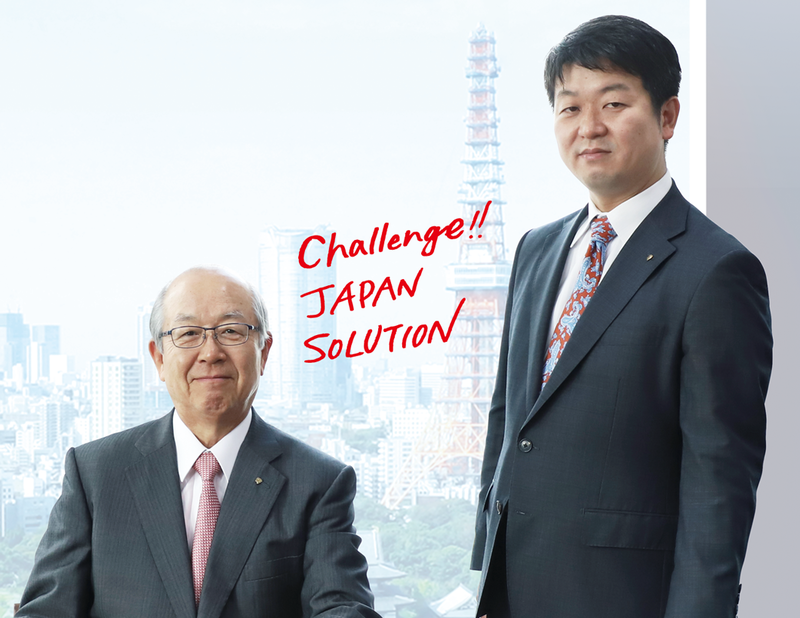 Akihiro Ohyama took the position of president of the company. IRIS OHYAMA VIETNAM Co., Ltd. incorporated. 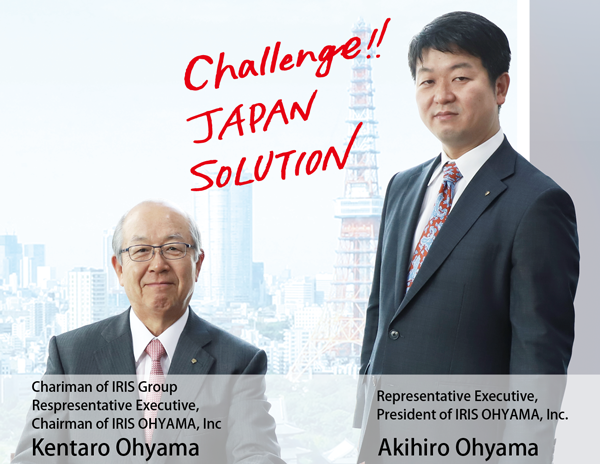 IRIS Group Tokyo Headquarters established.